Are you wondering what NETTOYAGE DE PLAGE means? It simply means cleaning the beach in French. 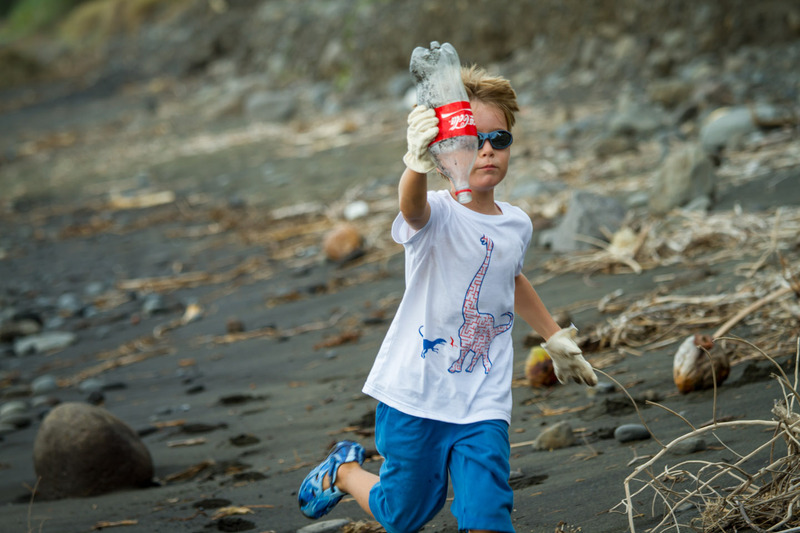 We went out to support an initiative of Océan Prévention Réunion in cooperation with the Surfrider Foundation. With a global problem of this size, it is important to deliver the message to as many people as possible. So we took some pictures and made a video for you to spread. 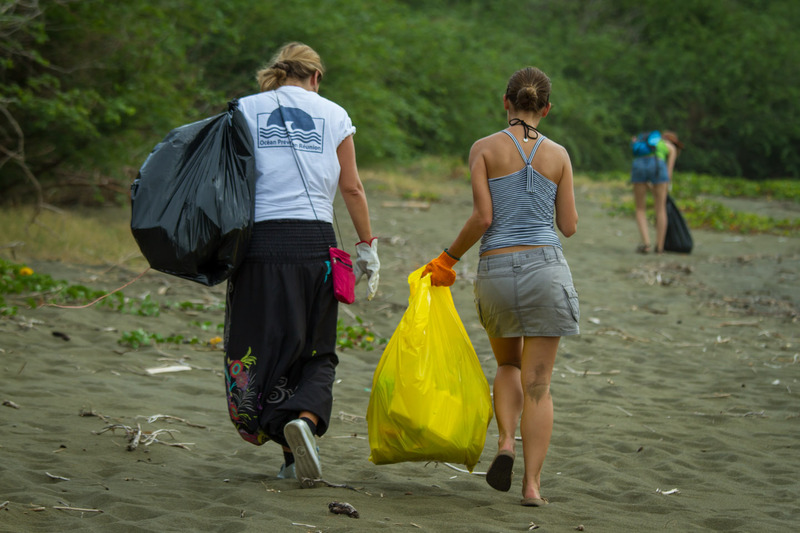 Cleaning the beach is great, but will only have a temporary impact. Much more effecting is acting right from the beginning. 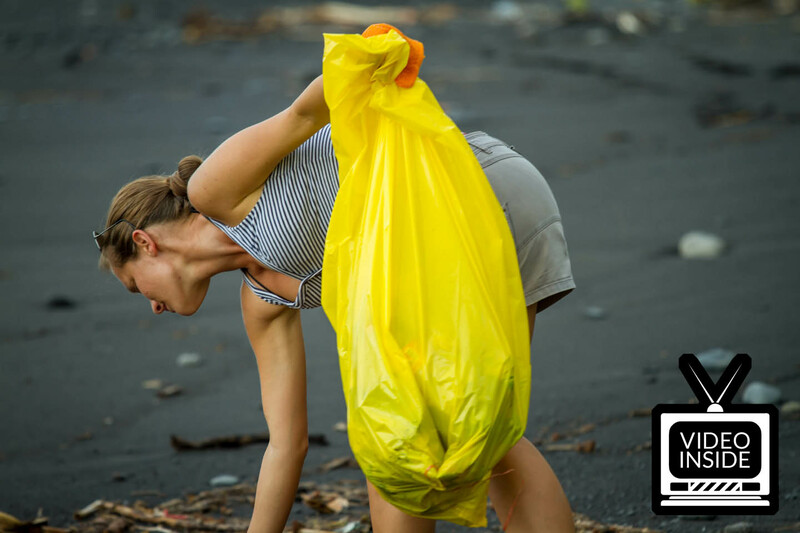 Avoid producing waste wherever possible and especially take care of how you dispose it. The Ocean is definitely not the right place. Océan Prévention Réunion is a local organisation with many followers on the island. 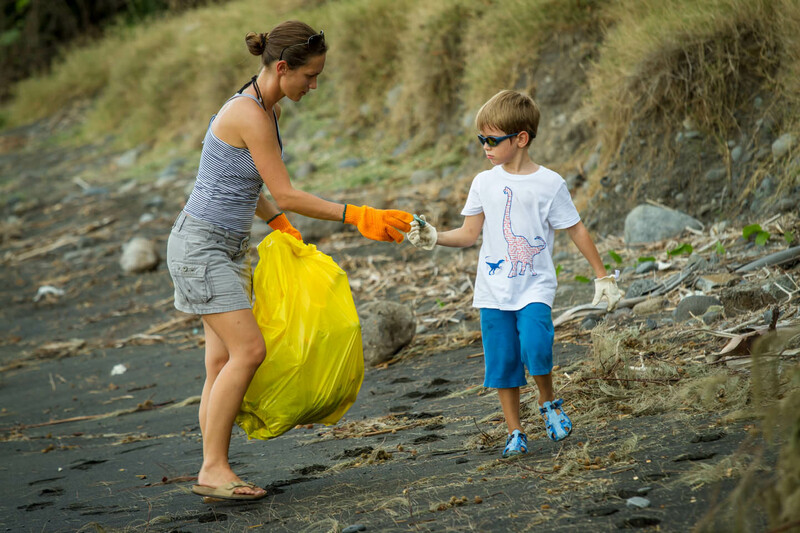 In cooperation with the Surfrider Foundation they made a call to clean the beach in St. Paul. On the 22nd of march young and old met up to get things done. After a short introduction we and everyone else knew what to do and what to take care of. 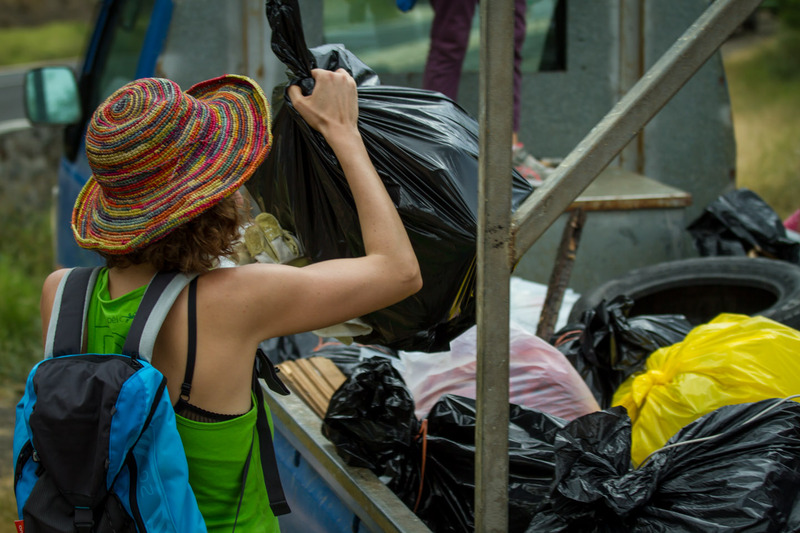 Black and yellow bags were handed out and the waste was separated according to the local recycling system. About 25 people split up in teams, spread around the beach and started to work. Step by step they scanned the whole area and picked up everything that does not belong there. Many people brought their kids. 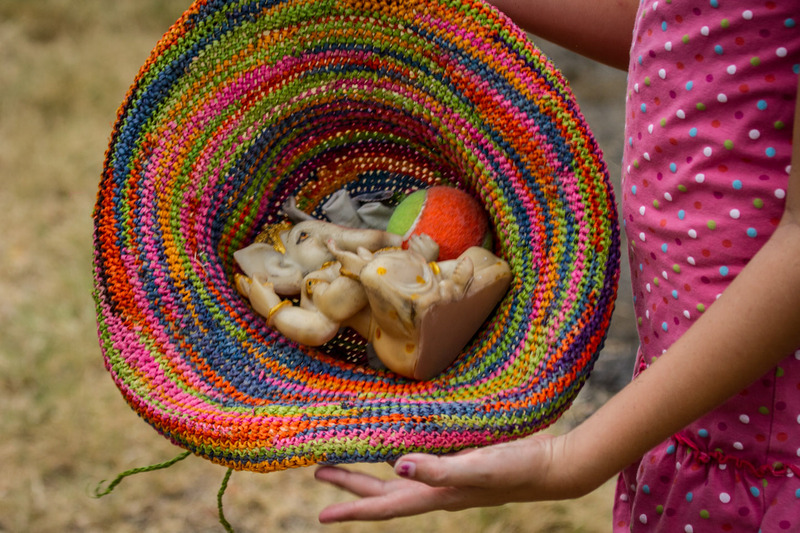 To keep things safe the kids became a special introduction on what to collect and what to leave alone. Most of them were full of energy and it was great to see how much fun they had. There was a nice atmosphere surrounding the project. Everyone was in a good mood and especially cheerfull to the youngest. 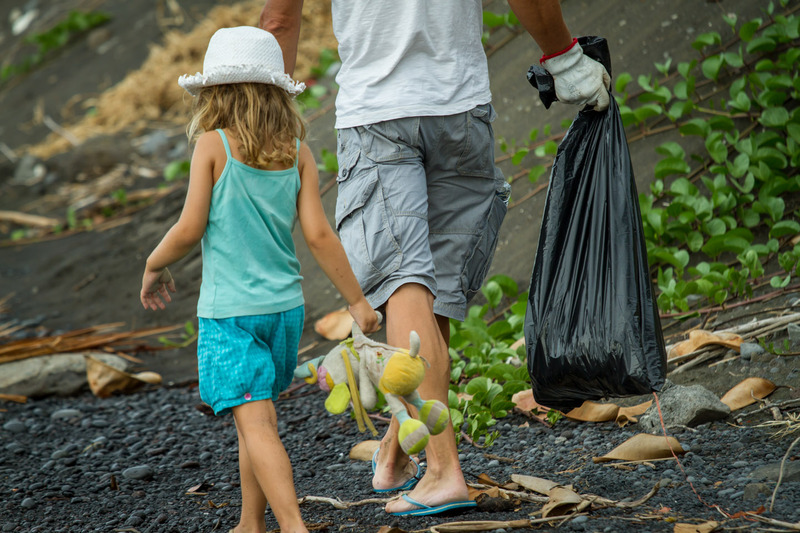 What a great way to teach your children a good behaviour and attitude towards nature. The larger things where left to the big guys. There is nothing you can imagine that’s not on the beach: Car tires, batteries, bottles, shoes, bicycles, washing machines, lingerie and cloth . . . you name it and sadly but true, it’s there. 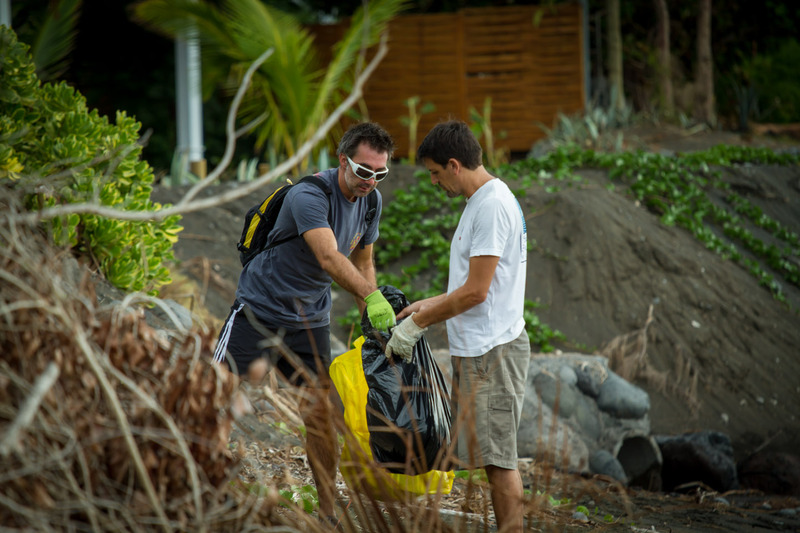 Beside doing something good, to us it was a great chance to get to know some people and gather some more information about environmental projects on the island. Some of the supporters came all the way up from St. Pierre to join this event. After almost 3 hours of work the collected waste was loaded into a truck and taken to the central meeting point. There was a huge pile of waste just from the beach section we worked on and that pile would soon grow even bigger. Back at the meeting point everyone dumped their pickings on the ground to take a picture for the media. Loose material was put into the black and yellow bags and all metal parts were put aside, waiting for the collection service to come and pick up everything. 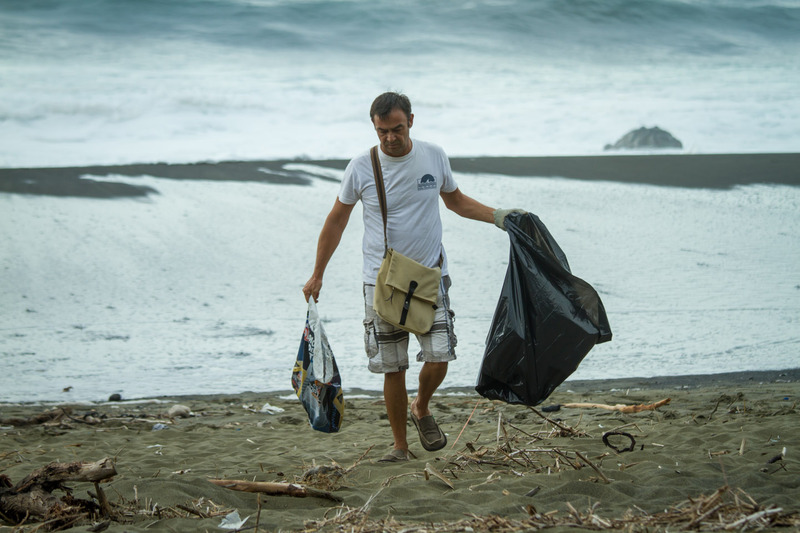 The project by Océan Prévention Réunion and the Surfrider Foundation was a full success, but keep in mind that these people can’t be everywhere. Think about your own behaviour! Making the right decisions straight from the beginning, is what everything really is about. And in the end some findings became a second chance. The fact that you don’t need something anymore doesn’t mean, that it is useless overall. Think about it the next time you tend to throw things away. Someone might be pleased with what you dispose of.